Peterborough United Checkatrade Trophy ticket winners are revealed. The winners of the tickets to Peterborough United’s Checkatrade Trophy tie against Luton at the ABAX Stadium on Tuesday, November 13 can be revealed. 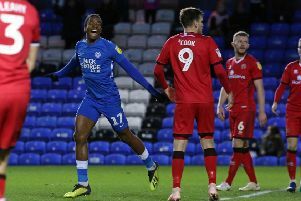 The Peterborough Telegraph joined forces with Checkatrade to offer four tickets to five people. The question was..what was the score after 90 minutes when Posh played Luton in last season’s Checkatrade Trophy? Keith Priddis, Western Avenue, Dogsthorpe. Stefan Coenen, 42 Molyneux Square, Hampton Vale, Peterborough. The winners will be contacted directly by Checkatrade.